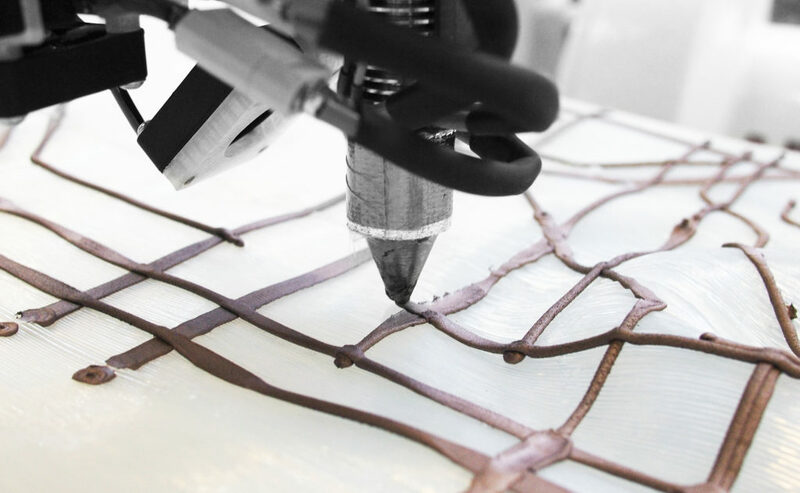 Clay++ will explore how any surface can form the substrate for deposition- and extrusion-based robotic fabrication. We will employ a workflow combining Rhino, RobotStudio, and the open-source ROS platform. 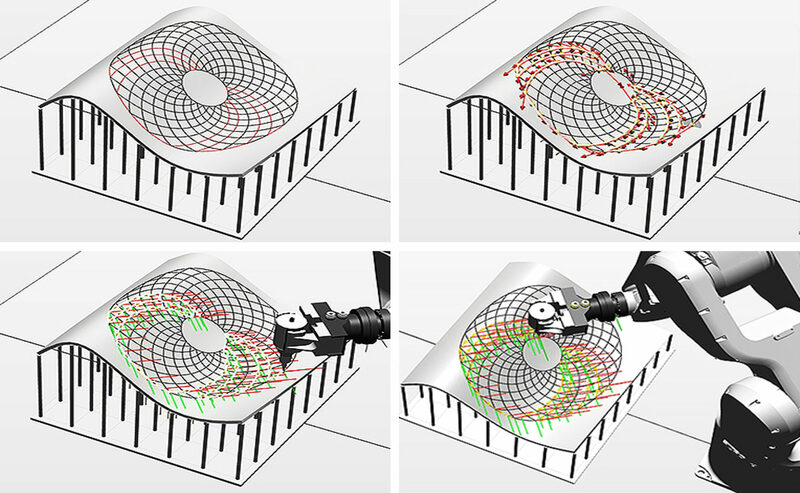 Participants will use this workflow to design a pattern to be projected and then rendered in clay upon a curved surface. This setting will give a practical experience with media, as exemplified by clay, that are “live” in the sense that they undergo non-linear shape-change (such as shrinking and force induced deformation) during final solidification and post-deposition/extrusion. The workshop will be an open platform for critical thinking on the future potential of this emerging technology. 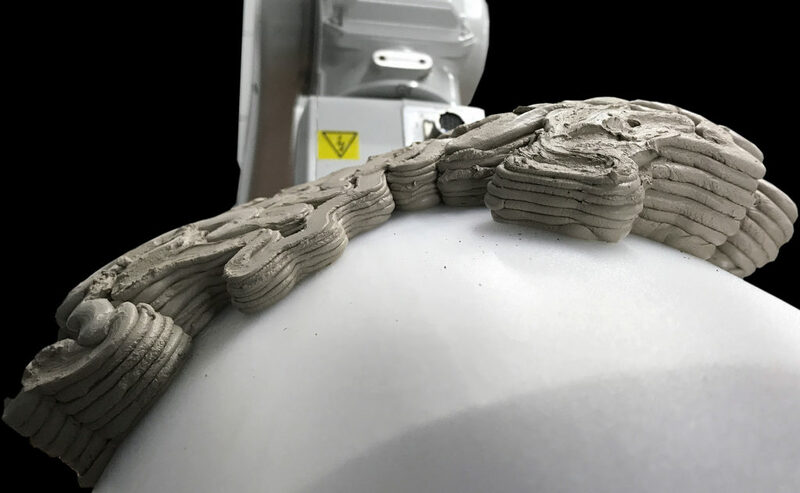 Participants will explore a strategy for robotic clay 3D-printing which integrates a real-time feedback between computational design and digital fabrication. By experimenting with this working method they will learn the concepts of sensing-oriented control, simulated on a real-time adaptive controller.In this scenario, attendants will face the challenges of additive manufacturing applied inside unstructured environments. 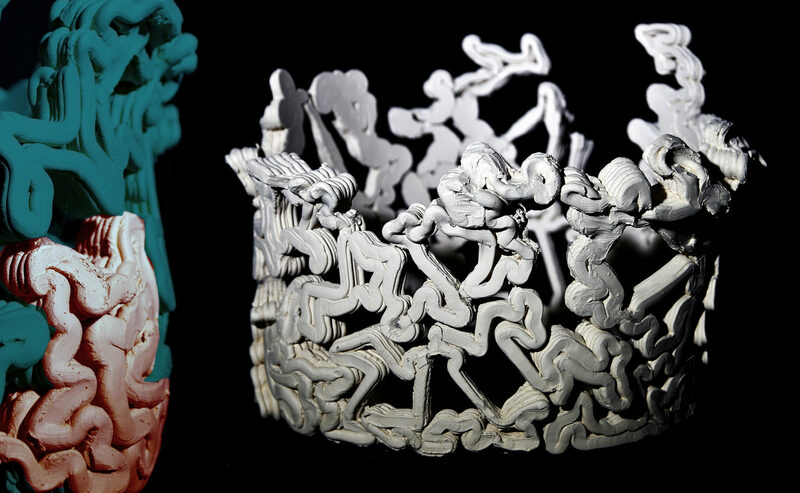 Join Clay++ to design and make your material-aware artefacts!